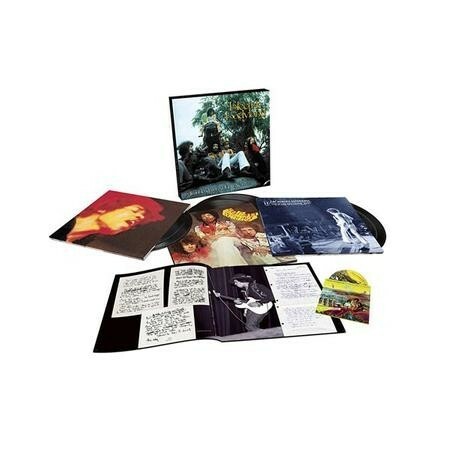 Numbered, Limited Edition 50th Anniversary Deluxe Edition 180g Vinyl 6LP & Blu-Ray Box Set! All Analog Mastering From The Original 2-Track Master Tapes! Pressed at QRP! Rolling Stone 500 Greatest Albums of All Time - Rated 55/500! In celebration of the 50th anniversary of the release of the Jimi Hendrix Experience masterpiece Electric Ladyland, Experience Hendrix and Legacy Recordings present a special Deluxe Edition box set containing 6 180 gram LPs in 3 gatefold jackets and 1 Blu-Ray. The set includes: LP 1 & 2 - the original double album, now newly remastered by Bernie Grundman from the original analog tapes. For the LP set, Grundman prepared an all analog direct to disc vinyl transfer of the album, preserving the authenticity; LP 3 & 4 - Electric Ladyland: The Early Takes, which presents 20 never heard demos and studio outtakes from this period in Hendrix's career; LP 4 & 5 - Jimi Hendrix Experience: Live At the Hollywood Bowl 9/14/68, part of Experience Hendrix's Dagger Records official bootleg series. 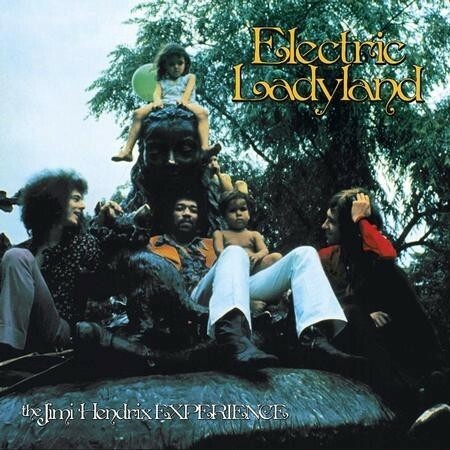 The never before released recording captures the band and the mounting excitement that took place just weeks before the release of Electric Ladyland; Blu-Ray - includes the acclaimed full-length documentary At Last… The Beginning: The Making of Electric Ladyland plus a new 5.1 surround sound mix of the entire original album by Hendrix's original engineer Eddie Kramer plus the original stereo mixes in uncompressed 24 bit/96 kz high resolution audio. The Electric Ladyland Deluxe Edition also includes a full color, 48-page book containing Jimi's handwritten lyrics, poem and instructions to his record label, as well as never before published photos from the recording sessions that were shot by Eddie Kramer himself. All of the above is packaged in a luxe casemade lift top box with new cover art which is true to Hendrix's original vision of the album's cover: a Linda (McCartney) Eastman photograph of the band and children at the statue of Alice In Wonderland in New York's Central Park. Click Here for Video Sample!